Bisola Aiyeola has stunned in some new photos she shared online. The young lady who is often regarded as one of the most talented housemate in the 2017 edition of the Big Brother Naija reality show, is popular on Instagram where she boasts of a massive 1.2 million followers and she never fails to interact with them on an almost daily basis. Bisola is known to be fond of posting new photos of herself on her page to the delight of her fans who throng her Instagram everyday. 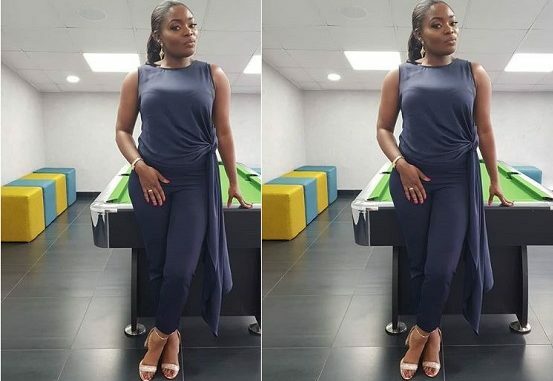 In these new set of pictures which she posted on Wednesday, Bisola is seen rocking a dark-blue jumpsuit as she poses in front of a snooker table.